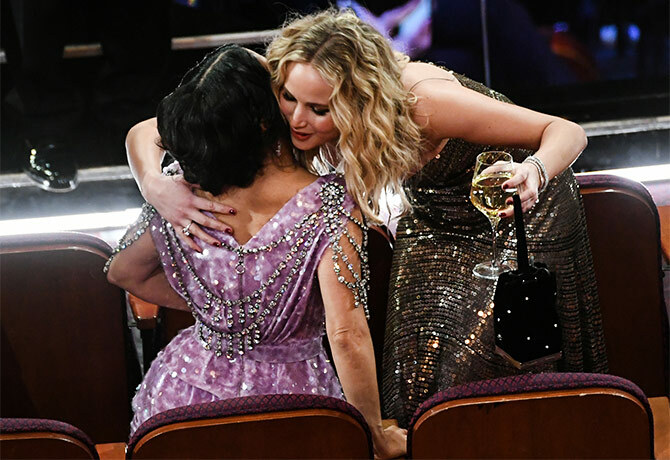 Rediff.com » Movies » Oscars 2018: Just what was Jennifer Lawrence doing? Another reason why we just *love* JLaw! Jennifer Lawrence hardly takes her star status seriously. At the 90th Academy Awards, the actress took a very different route from the rest of Hollywood to get to her seat. 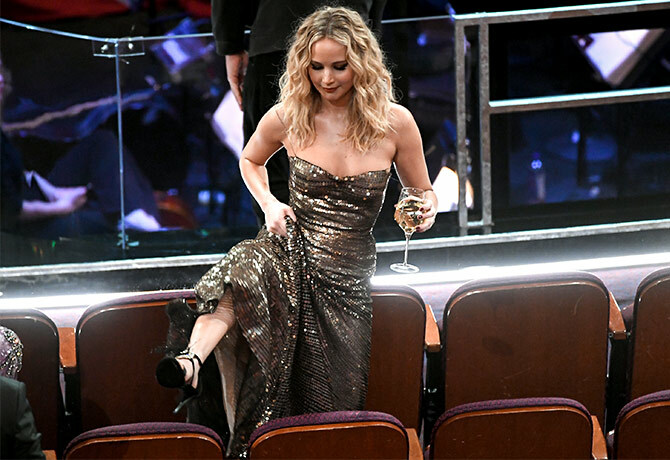 After she walked the red carpet, JLaw grabbed a glass of wine, pulled up her sequenced Dior gown, and climbed on the seats to get to her own! It's a good thing she didn't fall this time! 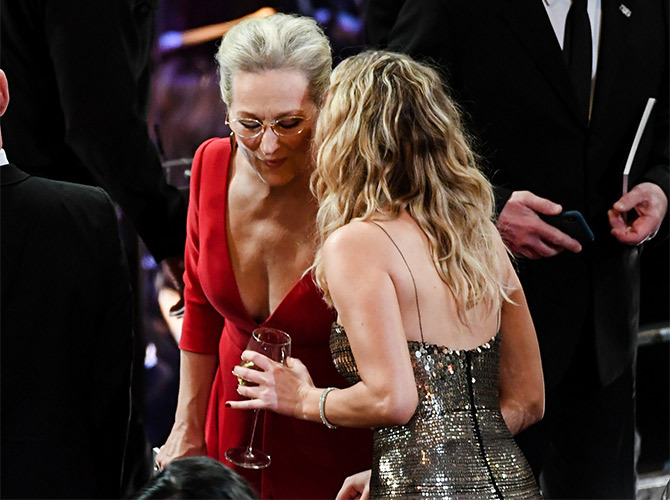 She then caught up with Meryl Streep and Salma Hayek, wine glass still in hand. We trace Jennifer's steps at the Oscars! Oscars 2018: Sam Rockwell wins!